1. “Future First Responders and FirstNet: Response to a multiple-vehicle accident (MVA) scenario” – Clint Smith, who is a volunteer firefighter and chief technology officer for Rivada Networks, says discussion on how exactly first responders might one day use the FirstNet public-safety LTE broadband network in their day-to-day work has been missing from the national dialogue. Smith offers a detailed analysis of a specific scenario: a multiple motor vehicle accident. You can also catch podcasts featuring Smith here and here. 2. “North Carolina agency turns to body-worn camera system from VIEVU, Motorola Solutions” – The Buncombe County Sheriff’s Office will launch its body-camera system early next year, as more law enforcement agencies adopt such programs nationwide. “I think [body-worn cameras are] where this profession is going. I think, because the technology has become small enough to carry with you everywhere, is very effective and—at the same time—the cost is getting very affordable, I think you’re going to see it be more of the norm, rather than the exception,” Sheriff Van Duncan said. 3. “NENA officials explain key details of wireless 911 location accord with carriers” – The recent agreement between 911 leaders with the National Emergency Number Association and the Association of Public-Safety Communications Officials (APCO) and four wireless carriers – AT&T, Verizon, Sprint and T-Mobile – included a key plan to leverage indoor location information from distributed antenna systems (DAS), small cells, Wi-Fi access point and Bluetooth beacons. These indoor location technologies, which are often already available indoors, are expected to become even more prevalent in the future. 4. 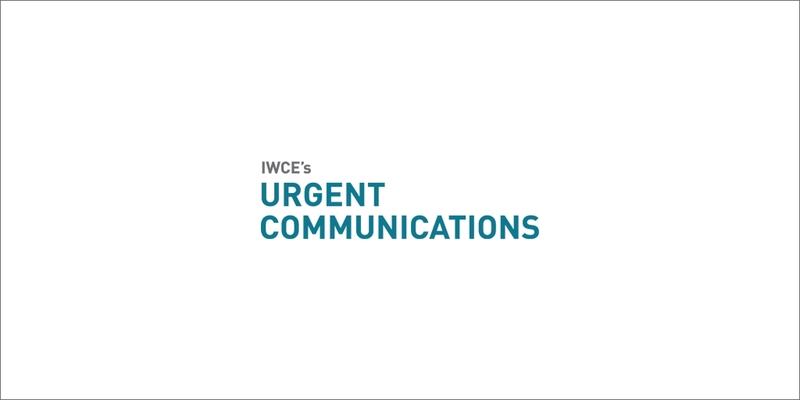 “FirstNet ‘public-safety entity’ definition should be broad, but prioritization policies must be clear” – IWCE’s Urgent Communication Editor Donny Jackson poses this question in a recent column: Will Congress consider FirstNet a success, if police, fire and EMA are able to communicate fabulously throughout an incident, but their effectiveness was limited by the fact that they did not have robust, reliable communications with other key critical-infrastructure players involved in the response because of a narrow “public-safety entity” definition? 5. “Anonymous ‘Requestor’ turns police body-camera programs upside down” – A broad public record for “any and all video” from an anonymous software developer in Washington state has already shuttered two body-cam programs. The Requester says the requests are intended to force lawmakers to change public disclosure laws so that police will regularly publish the video. “What I would like to have happen is that video cameras be mandated for law enforcement, both in-car and body camera,” he said to Government Technology. “And what I would also like is that the Public Records Act become the publishing act.” (This story headlined our recent listing of industry news).